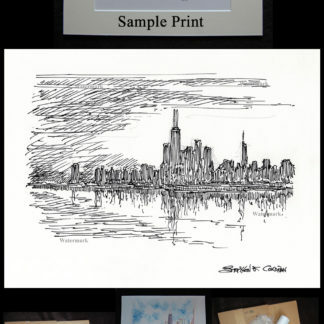 Chicago Skyline pen & ink sunset prints for sale. 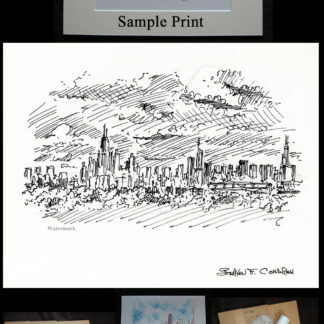 This is about Chicago skyline #752A pen & ink drawing at sunset, which is a cityscape stylus sketch at twilight, which is for sale here, at discount with prints by artist and United States Navy Veteran, Stephen F. Condren, BFA, SAIC, of Condren Galleries, a Fine Arts Gallery, offering JPEG & PDF scans. 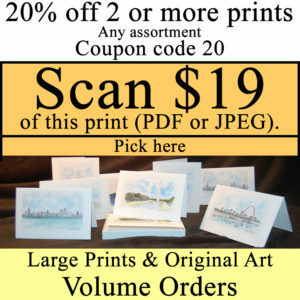 This work of art is looking at the downtown Chicago Loop and near north side from the north west side of the city. 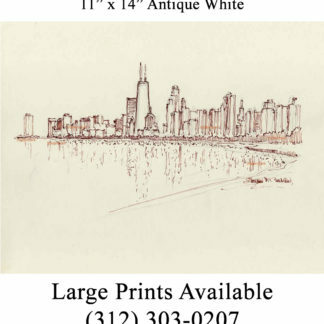 Because Chicago skyline #752A is great, it’s prints are great! 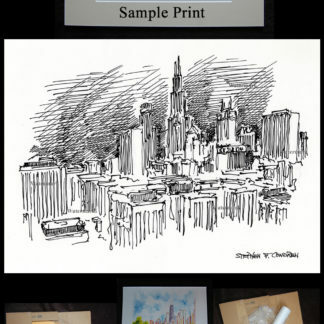 The pen & ink uses a series of hatching and cross-hatching to bring out the darkness for Chicago Skyline #752A. 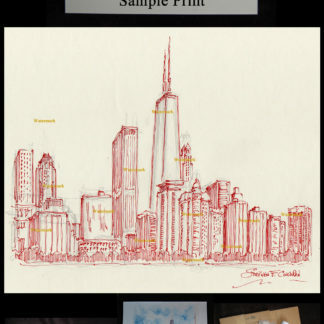 JPEG & PDF files are image formats used to make scans for Chicago Skyline #752A. 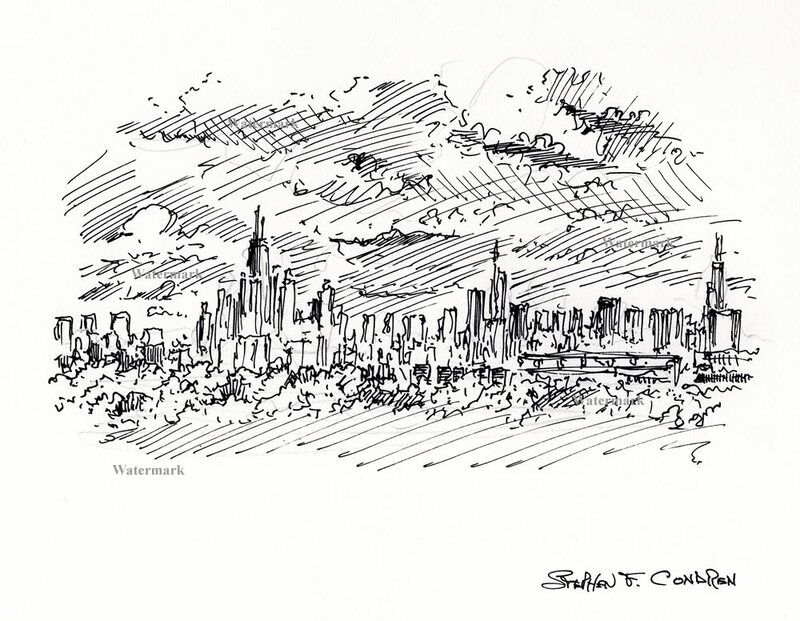 The perspective of Chicago Skyline #752A is from the northwest just past Western Avenue. From here you can see Trump Tower, 875 N. Michigan Avenue (for John Hancock Center), and Willis Tower. 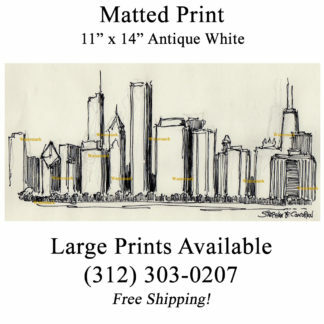 The Aon Center is here but lower because of the incline of the horizon plane and rest just to the left of Trump Tower in the center of the drawing. 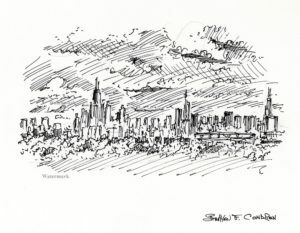 This pen & ink drawing is of Chicago at the early stages because of the sunset. The day is very cloudy and filled with cumulus clouds. 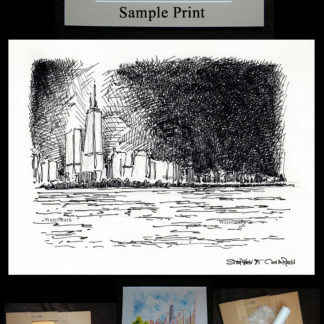 My focus on the drawing was the skyline juxtaposed with the clouds. I, therefore, of course was interested in the landscape but it plays a minor role in the composition of the drawing. The landscaping’s most important task is to support the skyline. I have used a fine tip pen for executing the drawing with works well. 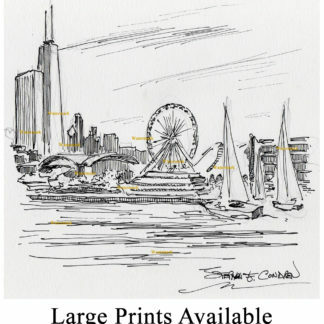 There is a minimum use of cross-hatching because there is little need for dark shade and shadows in Chicago Skyline #752A. The key to understanding the drawing are the hatching and cross-hatching lines. It is this aspect of the drawing that brings out all of the dramatic effects that make a work of art so interesting. 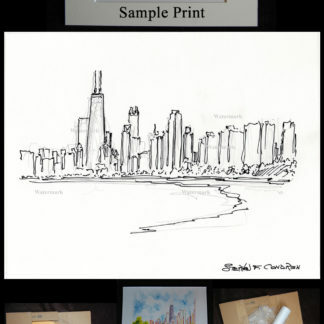 Chicago Skyline #752A pen & ink drawing at sunset with JPEG & PDF scans.